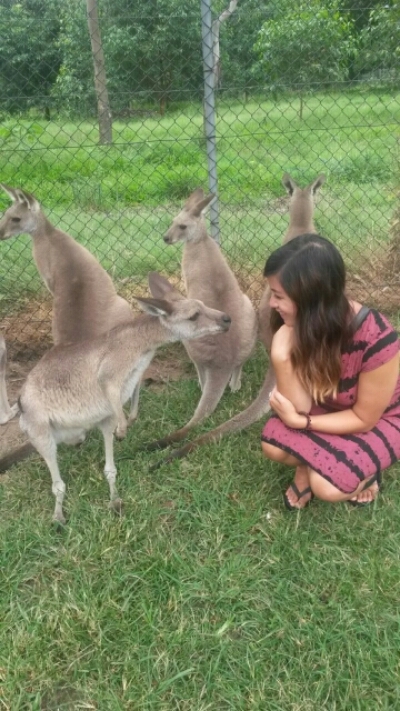 Lone Pine (and Brisbane) – Where's Walton? 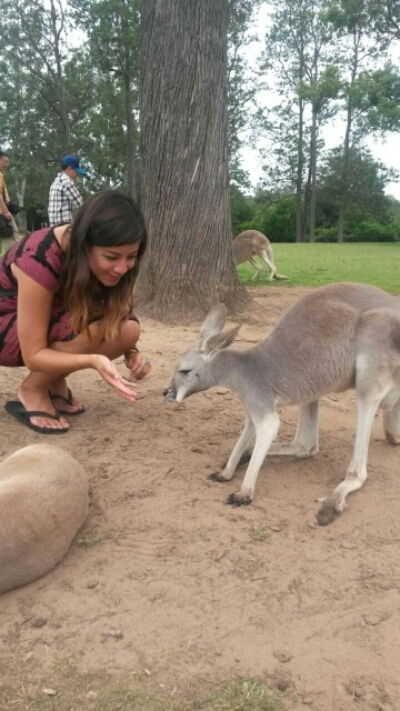 I have spent a month in Australia and I haven’t seen a single kangaroo or a koala!?? How can this be? 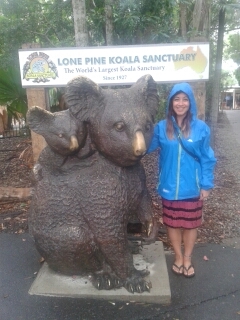 So on my last day, after flying down from Cairns we spent it wisely at Lone Pine Koala Sanctuary just a short 30 minute bus journey out of Brisbane. 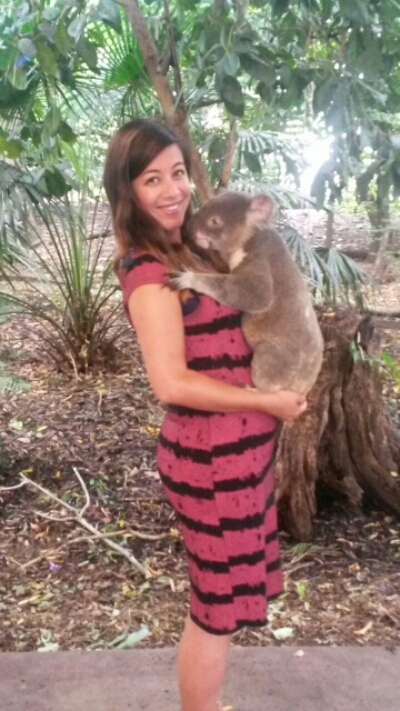 It contains over 100 Koalas as well as other animals such as sheep, reptiles, tasmanian devils, dingos, platypus’s, roos and more! 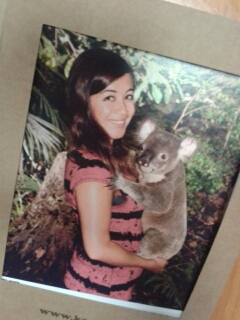 I held a Koala. His name was Hugo. It was such a surreal 30 seconds but completely worth it. 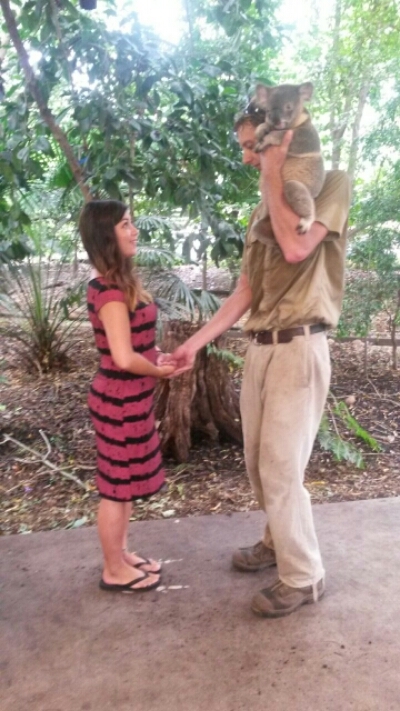 Bekki and I walked away from each holding him literally buzzing, it was such a special treat and we could have gone home at that moment completely satisfied with the day. 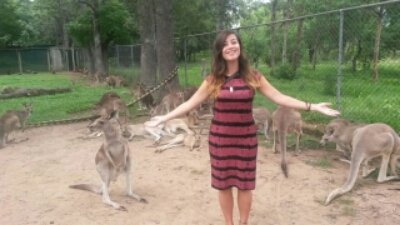 Then we found the kangaroos! The day got even more incredible. The roos are simply closed off in a large area and you walk around and take photos. We were surprised that there were no staff around as I’d heard they can be vicious but it was fine. There’s a few shows throughout the day you can watch. 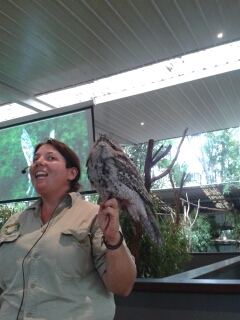 We saw the sheepdog/sheep sheering exhibition, bird of prey, wildlife show and a koala presentation. 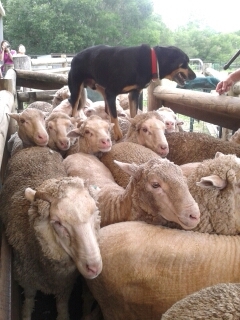 The sheep show seemed a bit cruel with the dogs and sheering but apparently it’s all okay and the sheep are well looked after. 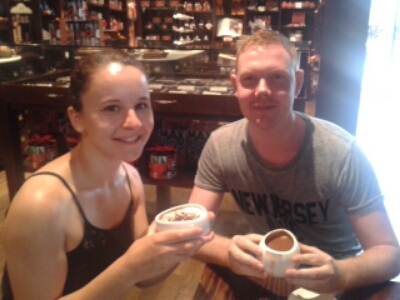 After this wonderful experience we had a look around Brisbane. 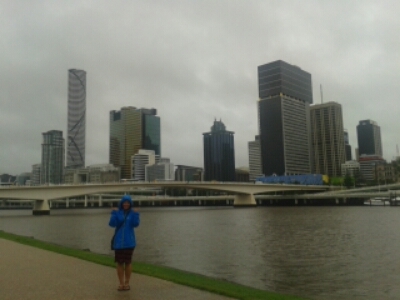 Brisbane was nice but it’s just a city. It had nice bridges – that’s all I can say really! Nothing spectacular and with a cyclone on the way the weather wasn’t too great unfortunately. 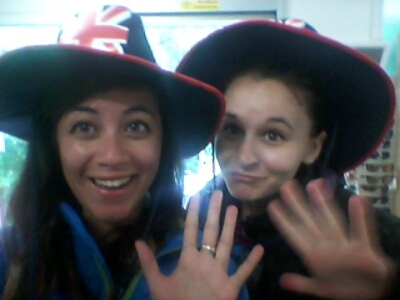 Dez and I worked at our University Open Days together 6 years ago! 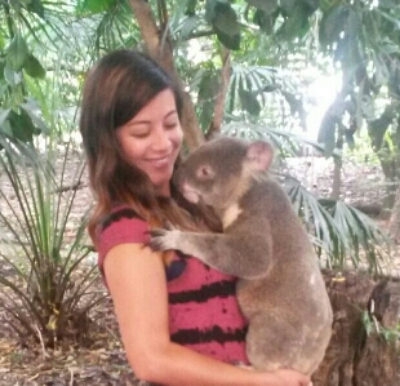 He’s now working in Brisbane and has also travelling since 2013. 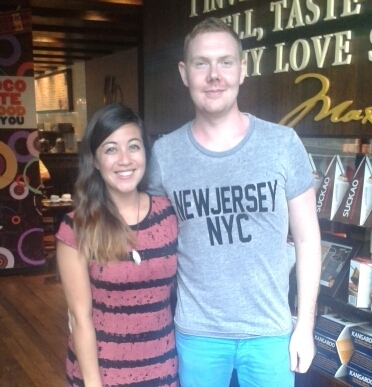 It was lovely catching up. 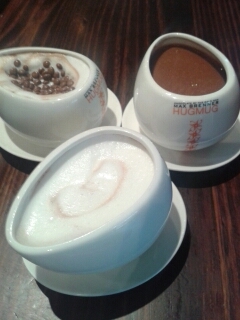 We had hot chocolate at Max Brennens – overpriced deliciousness. 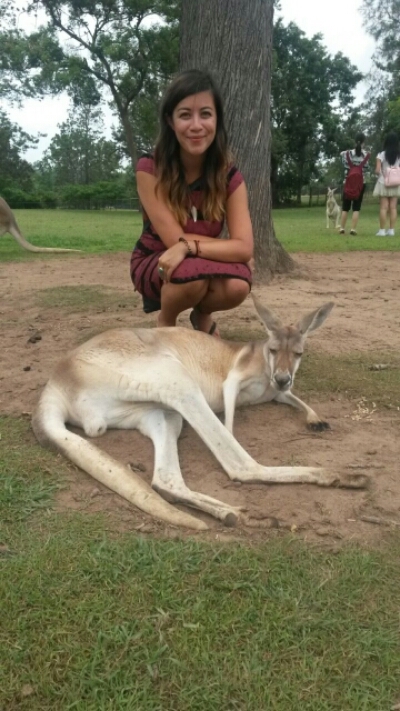 It’s so sad to leave Australia, one month just wasn’t enough!